Kevin Putnam is one of the two original founders of ID Theft Solutions of America specializing in corporate and individual identity theft prevention. Mr. Putnam’s experience with identity theft began prior to this venture when he worked within the field of distressed debt. He saw firsthand how lives were affected from the loss of personal information and negative credit histories, which has led to great success as an educator within the world of identity theft. His current objectives include developing strategic partnerships with State and National associations to bring additional resources to their member base through preventive education. During his tenure with IDTSOA he has trained countless individuals on the importance of protecting sensitive information at the employee level. His passion is watching the cultural shift within the workplace after the identity theft prevention program has been implemented. Mr. Putnam has been certified by the Institute of Fraud & Risk Management as a Certified Identity Theft Risk Management Specialist (CITRMS). 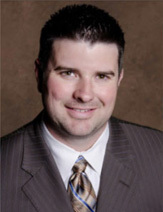 Currently Mr. Putnam is an active Board Member with the Austin Chapter of ARMA (Association of Records Managers and Administrators). 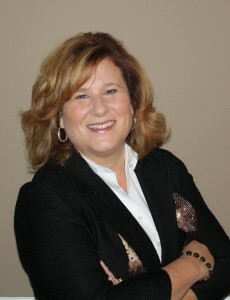 Seminar Co-chair and Board Member, Association of Records Managers and Administrators, Inc.
Lynn Duncan is part of the original Management Team of ID Theft Solutions of America since 2005 and in 2007 moved & expanded our services to the Mid-South region. She is a Certified Identity Theft Risk Management Specialist with The Institute of Fraud Risk Management and the Institute of Consumer Financial Education and ranks among select professionals nationwide who have earned the CITRMS certification. She is among the nation’s leaders in corporate data breach prevention, risk management and identity theft education, protection, and prevention. She has been featured in numerous publications and has appeared on television and radio programs highlighting identity theft risks. She is dedicated to educating and assisting clients, businesses, schools, government agencies and the general public in combating the epidemic of Identity Theft and related fraud. In addition Lynn is an accomplished speaker for many corporations and associations throughout the country. She is a recognized expert in Identity Theft and Data Breach Prevention Programs performing risk assessments, writing company security policies and procedures and conducting employee training to Corporations nationwide. Ms. Duncan is an active member of her community and has been involved with the American Heart Association since 2000, serving on their executive leadership team and as Chairman for the 2009 DeSoto Heart Walk. She served as Vice President of Business Builders of DeSoto County in 2009 and as President in 2010. She is a member of several local associations.